Glenn Perry, Shidoshi, is a martial arts Grandmaster with 50 years training experience in Karate and Ju-Jutsu and is also the founder of Goshin Ryu Bujutsu. Perry martial arts training began in the late 1960's under his father's insistence, who at the time, was taking Jujutsu classes at "St. John's Community Center" in Brooklyn, New York. At the early age of nine his father formally enrolled him in Ju-Jutsu at the "Diamond Mine Dojo" under Sensei Al Govine. Perry's experiences in Japanese Karate took place at the famous Tong Dojo under the instruction of family and friends, Sensei George Cofield and Thomas La Puppet. He continued to train in the Shotokan style with Sensei Toyotaro Miyazaki at Jerome Mackey's Karate Studios. He also trained in Kyokushin Karate at the BAM in New York City under chief instructors, Shihan Tadashi Nakamura and Shihan Shigeru Oyama. As a young teenager Perry spent many years with Master Pierre Rene, the founder of the 'American Shotokan Association'. Iron Palm and Chi-Gung with Sifu Moy Yat in New York's Chinatown area. Mr. Perry is also an honorary 5th degree black belt member of USA Goju under Sensei Peter Urban. In the mid 1970s Perry began training exclusively in Chinese Goju Karate under it's founder, Grandmaster Ron Van Clief. 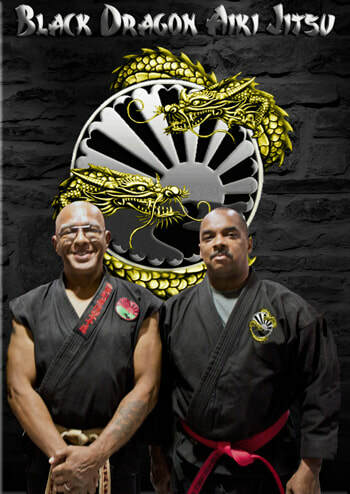 After years studying Perry became a "Chief Instructor at the Black Dragon Temple, a martial arts dojo in Brooklyn, New York, from 1977 to 1986. He also gave taught the Long Island University Karate team for two semesters year. Mr. Perry has appeared in many martial arts books, magazines, training videos as well as television including "The Oriental World of Self-Defense". He gives numerous martial arts lectures and demonstrations around the world. A committed martial artist, tournament competitor from the 70s and 80s and passionate historian. In 1984 Mr. Perry was inducted by Grandmaster Ron Van Clief into "The Masters in Action Hall of Fame". In 1985, he earned his 'Rokudan (6th Dan) level. At the time of this promotion, he became the youngest 6th degree black belt in Chinese Goju. In 1986 Mr. Perry was given permission to introduce the art of Chinese Goju to Mexico and South America. That same year, Perry relocated to Mexico and opened the first Chinese Goju dojo in the state of South America. In 2000 Perry established the Goshin Ryu Aiki-Jujutsu Association, which reflect his beliefs as to the meaning of martial arts. Perry created Goshin-Ryu Aiki-Jujutsu, which means "Way of Self-Defense or Self Protection"; to assist individuals committed to martial arts and involving themselves and their communities for the betterment of the Art. 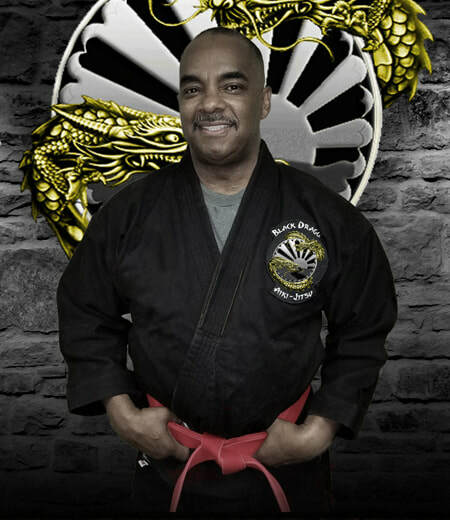 With the principles of passion, understanding and mutual respect, as the foundation of Black Dragon Aikijitsu, Perry ensures that students and members develop to their full potential. Perry, like so many before him, has discovered the value of combining techniques and cross training in several different fighting disciplines. These and many other new ideas were incorporated into the new system of self-defense. Black Dragon Aiki is based on two essential principals and concepts, Black Dragon Aiki Jujutsu and Black Dragon Aikijitsu. Thanks to Perry's training and experience in these arts, we are able to merge the concepts of the two schools into one. In 2001 Glenn Perry became the first person to receive the title of 'Soke' by his teacher and mentor, Grandmaster Ron Van Clief. That same year he was inducted by his teacher into the 'World Head of Family Sokeship Council'. Mr. Perry is also the President of the 'World Headmasters Sokeship Council'. Sensei Perry is a 10﻿﻿﻿th﻿﻿﻿ Dan, Shidoshi, Inheritor and Headmaster of The Black Dragon Aikijitsu Systems which was founded by Grandmaster Ron Van Clief, Shidoshi. The systems of Chinese Goju and Black Dragon Aiki Jujutsu are all components of 'Black Dragon Aiki-Jitsu System'!